The first weapon drawn in a conflict is language, but the first weapon drawn for Czarface is the music. Wu-Tang Clan's Inspectah Deck & Esoteric carved a niche for Czarface with venomous vocals, but the musical production is their super power. 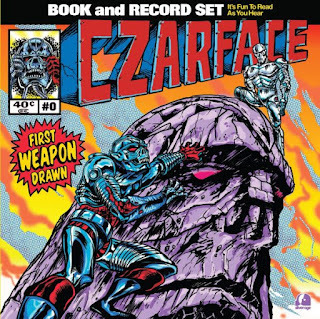 Powered by the trademark sound of The Czar-Keys, a sound that's been developed since Czarface's first LP in 2013, "First Weapon Drawn" serves as the soundtrack to Czarface'smysterious origin. Look for "First Weapon Drawn" as part of Record Store Day on April 22nd. In music, timing is everything. When soon-to-be-renowned Boston hip-hop duo 7L & Esoteric collaborated with the Wu-Tang Clan's Inspectah Deck on the title track to 7LES's debut EP Speaking Real Words in 1999, the timing was perfect. The upstart duo was building a serious buzz on the East Coast and beyond, while Deck was still winning praise for his gold-selling solo disc Uncontrolled Substance and solidified himself as one of Wu Tang's most quoted lyricist. As flashy pop-oriented rap was pumped on commercial radio stations, their natural chemistry and simpatico skills shone as a beacon to real hip-hop fans, a base of listeners who were soon asking about their next musical summit. 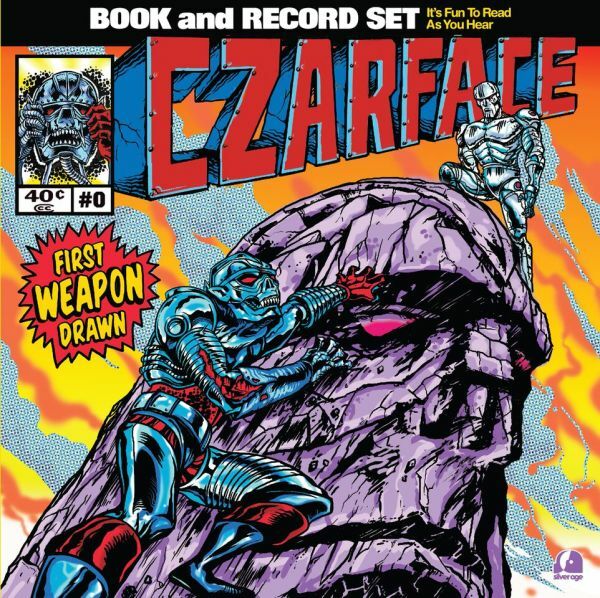 In the face of the ever-worsening status quo of watered-down and vapid radio rap songs, the call for something real has only gotten stronger, and once again the time is right for a call to action - enter Czarface. Having already released 3 albums; their self-titled 2013 debut, 2015's smash hit Every Hero Needs A Villain and 2016's Fistful Of Peril, Czarface is currently working on their 4th studio album. Past collaborators on these releases have been fellow Wu Tang Clansman Method Man, Ghostface Killah, Cappadonna, with Czarface also alongside MF DOOM, Vinnie Paz, Roc Marciano, Conway, The Beatnuts, Large Professor and many more!